If you have a computer or a phone, you’ve probably been targeted by a scammer pretending to be someone they’re not: maybe the IRS, another government official, a family member or friend, or a tech company. These imposters come in many varieties, but work the same way: the person pretending to be someone you trust tries to convince you to send money. 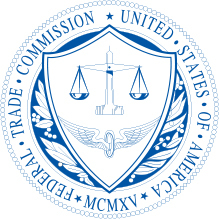 The FTC received 353,770 imposter-related complaints last year. Today, the Federal Trade Commission released new resources at ftc.gov/imposters to help you spot and avoid four common kinds of imposter scams: Family Emergency Imposter Scams, Tech Support Imposter Scams, Online Romance Imposter Scams, and IRS Imposter Scams. The one-minute videos show how people are targeted, how to spot the scam, and where to report it. The articles are part of the agency’s ongoing Pass It On campaign, which encourages older adults to help raise awareness about fraud by talking to family, friends, and neighbors about avoiding common scams. Please share or use the videos and articles to pass on how to spot and avoid imposters.